In the course of my work I’ve been submitting iOS (originally iPhone OS) apps since 2008, so I have quite some experience in this area. Although Apple have always been diligent in manually inspecting app submissions and successful in weeding out the chaff, I get the impression that the demands of quality over quantity have gained greater emphasis in recent months. The App Store Review Guidelines (a living document) have been tightened-up and certainly from my experience the App Review Team have been policing them with increased vigilance. 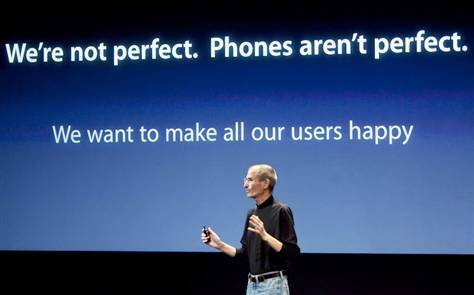 I’ve read about developers complaining that their app has been unfairly rejected, but in most cases I can sympathise with Apple’s stance. They have the expectations of a enormous customer base to fulfil and a squeaky-clean brand image to protect. If your gut instinct is that your app might be contentious, then Apple will probably think likewise. Don’t for a minute imagine you are going to reverse their decision by engaging the App Review Board in a battle of wits. It’s Apple’s game and you must play by their rules. If they don’t like your app then they won’t publish it and no amount of picking holes in the App Store Review Guidelines is going to help your case. Apple doesn’t respond well to legal threats or external publicity. Let’s face it, they haven’t grown to be the largest company in the world by being agreeable with everyone. They retain the best lawyers, designers and technical experts in the world and there is no benefit to be gained by arguing with them. So enough of the ‘do nots’ and on to my advice. Do thoroughly read Apple’s developer documentation before embarking on a new development project. The App Store Review Guidelines are actually written in an engaging and almost humorous style, so take the time to digest them fully. If you feel that your app has been unjustly rejected or perhaps misunderstood then respond using Resolution Center. Ask for further clarifications if required and politely ask for their assistance in identifying precisely what it would take to overcome their objections. Make your responses courteous with a sprinkling of humility and you might be in with a chance. Some developers might feel powerless going up against the 800 lb gorilla, but I have been successful in reversing some app rejection decisions by using diplomacy and a collaborative approach. This entry was posted in Apple, General, iPhone, Techie and tagged App Store, Apple, iOS, iTunes, iTunes Connect by djh. Bookmark the permalink. As much as I hate government control, this is one arena they need to get into and smack the crap out of Apple and Google for their elitist attitudes. I proudly proclaim Death to Apple and Death to Google.